What are the Social Security Numbers, names and dates of birth of the parents reporting information on this form? If your parent does not have a Social Security Number, you must enter 000-00-0000. If the name includes a suffix, such as Jr. or III, include a space between the last name and suffix. Enter two digits for each day and month (e.g., for May 31, enter 05 31). 69. Your Parents' e-mail address. If you provide your parents’ e-mail address, we will let them know your FAFSA has been processed. This e-mail address will also be shared with your state and the colleges listed on your FAFSA to allow them to electronically communicate with your parents. 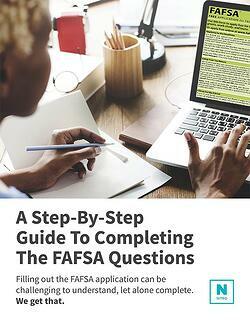 For this series of questions, the FAFSA asks you to report your parent’s Social Security Number(s), exact date(s) of birth, first initial(s), and full last name(s) for further verification and accuracy. You will notice that you have two options: “Parent 1” and “Parent 2.” You may choose whichever of your parents for either field, but please be sure to enter the correct information into each of these separate fields (if applicable) as it appears on their Social Security card(s) and birth certificate(s). Do not mix “Parent 1” figures with “Parent 2” as this may cause an error in your application.